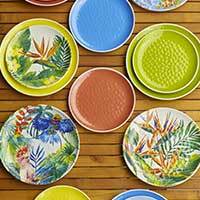 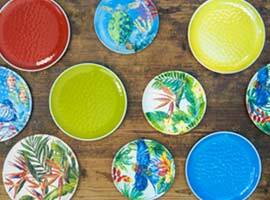 The blue, yellow, green and coral shades of the United Colors range will brighten up any dining table, whether it's a multi-colored tableware or tables decorated with patterned tableware. 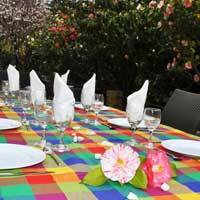 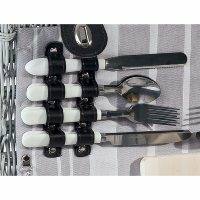 Mix colors to create unique tables ! 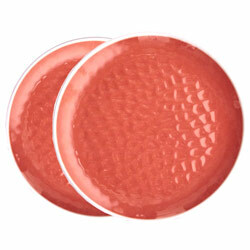 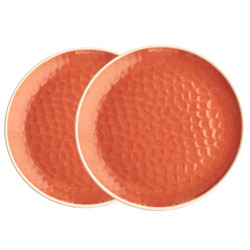 "Coral Red" design 23 cm small plate made of pure melamine with a hammered appearance. 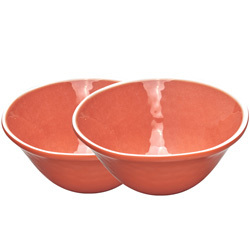 "Coral Red" design bowl made of pure unbreakable melamine with a hammered appearance. 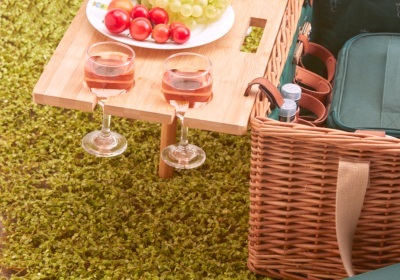 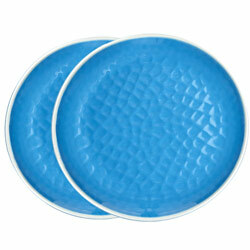 27 cm unbreakable plate in pure melamine - Blue for a beautiful outdoor table. "Blue" design 23 cm small plate made of pure melamine with a hammered appearance. 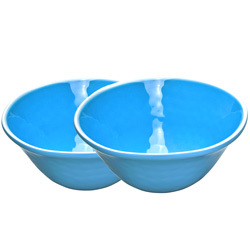 "Blue" design bowl made of pure unbreakable melamine with a hammered appearance. 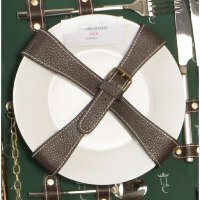 27 cm unbreakable plate in pure melamine - Green. 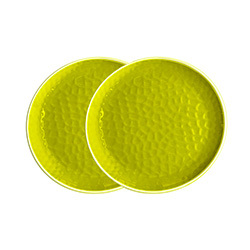 "Green" design 23 cm small plate made of pure melamine with a hammered appearance. 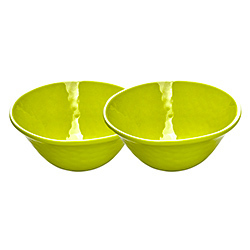 "Green" design bowl made of pure unbreakable melamine with a hammered appearance. 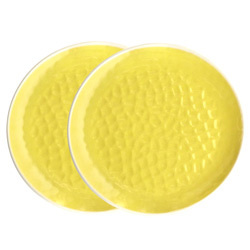 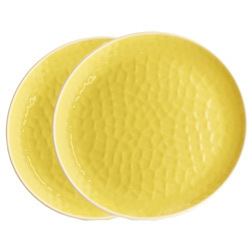 "Yellow" design 23 cm small plate made of pure melamine with a hammered appearance. 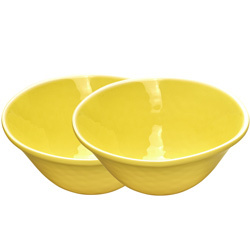 "Yellow" design bowl made of pure unbreakable melamine with a hammered appearance.